Note: This content was updated to reflect the latest research on turmeric. 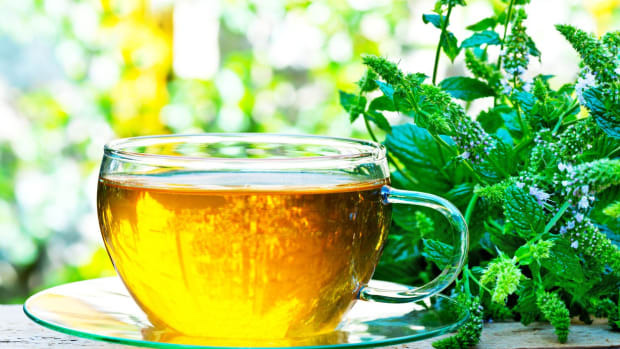 The health benefits of turmerichave been touted high and low in the past few years. And while recent research seems to show conflicting information with regard to turmeric’s active compound, curcumin, there are some very good reasons to add this spice to your diet. You&apos;ll often find golden turmeric on spice racks in powder form, but turmeric is actually a member of the ginger family. When purchased fresh, as a root, it resembles its cousin, with its knobby beige skin; the golden flesh is hidden until you cut into it. The nutritional profile of turmeric is vast, according to naturopathic doctor Gabrielle Francis, who notes that it contains bioflavonoids, vitamin c, vitamin a, and beta carotene. But these nutrients are only part of the seemingly dazzling résumé of turmeric. 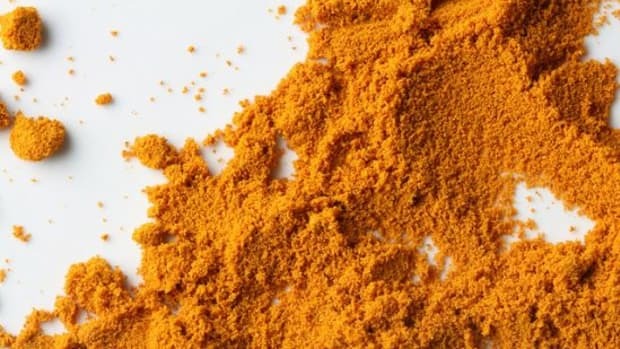 The active compound curcumin is a natural phenol produced by the root (not just as the source of the spice&apos;s bright color) -- but also as the active compound to which most of its health benefits are attributed. Until recently, turmeric was associated with a whole range of health benefits, from pain relief to even curing some forms of cancer. But in early January, a study published in the Journal of Medicinal Chemistry called turmeric an "unstable, reactive, nonbioavailable compound" and noted that most of the health benefits associated with it were "improbable." "Much effort and funding has been wasted on curcumin research," says Gunda Georg, co-editor-in-chief of the Journal of Medicinal Chemistry. The U.S. National Institutes of Health counts 135 registered trials of curcumin in the last 15 years, according to the study authors, but not one double-blind, placebo-controlled clinical trial on curcumin can support all of the benefits we&apos;ve been attributing to it, and when it comes to research that seemed to prove curcumin&apos;s effects on pancreatic and colon cancers, Alzheimer&apos;s disease, and radiation-induced rashes, it seems that the supposed benefits are all cracked up. The reason that we&apos;ve been duped, according to Sam Lemonick, a former employee of the American Chemical Society, which publishes the Journal of Medicinal Chemistry, is that curcumin does very well in screening tests that show how a molecule interacts with proteins implicated in various health problems that could -- but don&apos;t always -- show how the molecule might be useful. 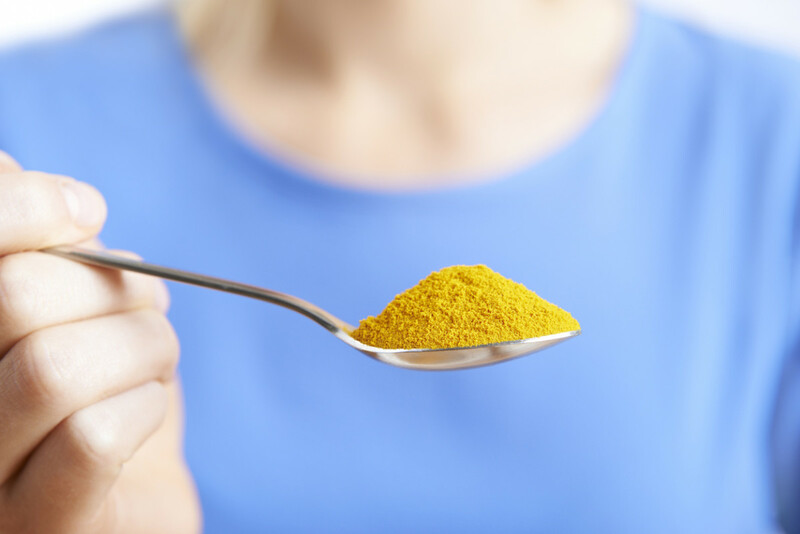 "Curcumin is a poster child for these promiscuous molecules that come up often in screens," says James Inglese, who directs assay development and screening technology at the National Center for Advancing Translational Sciences in Bethesda, Maryland. "A lot of people doing this kind of work aren&apos;t technically aware of all of the issues that this thing can cause." In other words, turmeric only appears to be associated with specific results. Kind of like hemp triggering a positive for marijuana on a drug screen, or the famous “Seinfeld” episode where Elaine’s poppyseed muffin habit was flagged as an opioid addiction. While turmeric won’t make you test falsely for illegal drugs, it does seem to have that same potential to trigger false positives, say for specific healing benefits, when it may not actually have that effect on certain issues. To top it all off, studies have shown that even if curcumin does have some health benefits, it&apos;s extremely difficult for the body to absorb; one study showed that rats absorb less than one percent of the curcumin they eat, and that curcumin usually reacts with a range of different substances before digestion even begins. So, should you toss your turmeric? Not necessarily. “There are dozens of published clinical studies showing that turmeric and its constituents impart significant health benefits,” American Herbal Products Association Chief Science Officer Maged Sharaf said in a statement. The researchers also noted that we may simply have been attributing the health benefits to the wrong molecule: turmeric may be beneficial to our health; it might just not be the curcumin that&apos;s doing all the work. They suggest that future studies look at turmeric holistically rather than isolating the curcumin compound. Turmeric has been associated with dozens of benefits, not all of which hold water. Here&apos;s what the science has to say about just a few of these supposed benefits of turmeric. Turmeric has long been touted as a key to reducing systemic inflammation due to its ability to inhibit NF kappa Beta. This protein complex controls the transcription of DNA and, when incorrectly regulated, has been linked to cancer, autoimmune diseases, and susceptibility to viral infections, many of which are problems directly linked to systemic inflammation. “Numerous studies have demonstrated anti-inflammatory effects comparable to over-the-counter ibuprofen, as well as potent drugs like hydrocortisone,” says naturopathic doctor Serena Goldstein. That said, even though some anecdotal evidence points to turmeric&apos;s anti-inflammatory properties, given poor ability of the body to absorb curcumin, it is unlikely that it has quite the effect on inflammation that we once thought, at least on its own. Turmeric&apos;s pain relieving abilities have been linked in large part to its anti-inflammatory properties; when inflammation is reduced, particularly in chronic cases, pain is reduced as well. “Turmeric has been shown to be as effective as ibuprofen in reducing joint pain caused by arthritis, and does not carry the potential to harm the liver,” says Lori Kenyon Farley, who is not a doctor. Kenyon, cofounder of Project Juice, is a certified nutrition consultant and the co-author of “The Juice Cleanse Reset Diet Book.” . 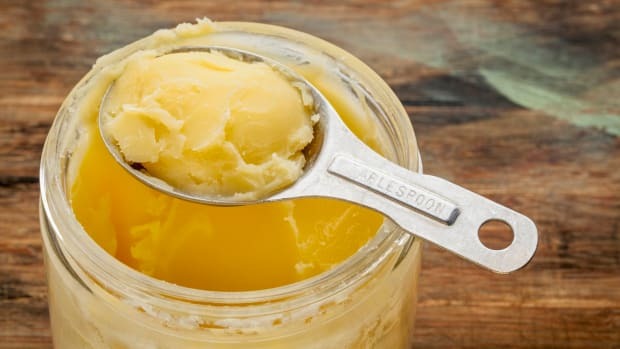 Turmeric&apos;s pain relieving properties have proven effective even in the most drastic of situations, like one 2009 case observed by Dr. Scott Haig, where a patient with severe hip problems and in need of hip replacement surgery eschewed traditional pain relievers entirely and managed his pain with turmeric. A 2012 study indicated that patients with active rheumatoid arthritis showed a high percentage of improvement when taking curcumin supplements. The new research neither confirms nor denies these findings, though the fact that curcumin is difficult to metabolize means that these benefits may have been over-touted. Turmeric has been linked to helping people with debilitative Alzheimer’s disease stop or even reverse their symptoms. 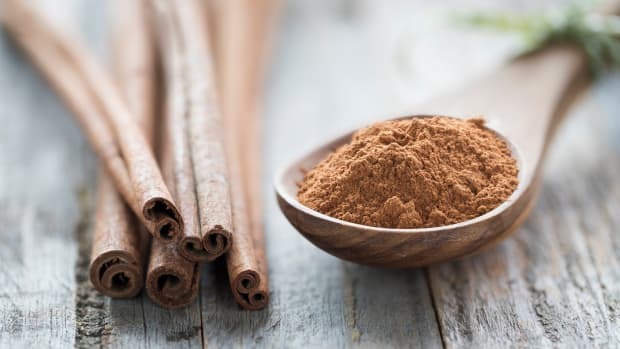 According to a 2008 paper published in the annals of Indian Academy of Neurology, the spice’s antioxidant, anti-inflammatory, and lipophilic qualities can and have improved cognitive functions in Alzheimer’s patients. Goldstein says that turmeric&apos;s benefits include improving the health of brain mitochondria and helping with spatial memory by decreasing lipid peroxidation in brain tissue. These attributes of turmeric reportedly have an effect not only on the development of Alzheimer&apos;s but also Parkinson&apos;s and epilepsy. After looking in-depth at one specific study that seemed to prove this characteristic of turmeric, however, the study authors found no actual benefits. That said, circumstantial evidence of the power of turmeric may be gleaned from the fact that in India, where turmeric is most commonly consumed, populations have the lowest prevalence of Alzheimer’s in the world. Turmeric has been associated with soothing many stomach problems, ranging from mere digestive discomfort to more serious conditions like Crohn&apos;s disease and even ulcerative colitis. 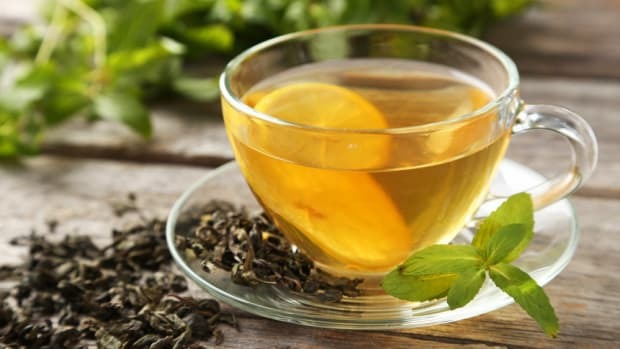 This is generally attributed to curcumin&apos;s ability to stimulate the gallbladder to produce bile and its natural ability to suppress stomach acid. One 2006 double-blind placebo-controlled study showed that ulcerative colitis patients who took curcumin for six months had a significantly lower relapse rate than those taking the placebo. According to the new research, in this case, "It may be possible for [curcumin] to have an effect on human health without being absorbed." 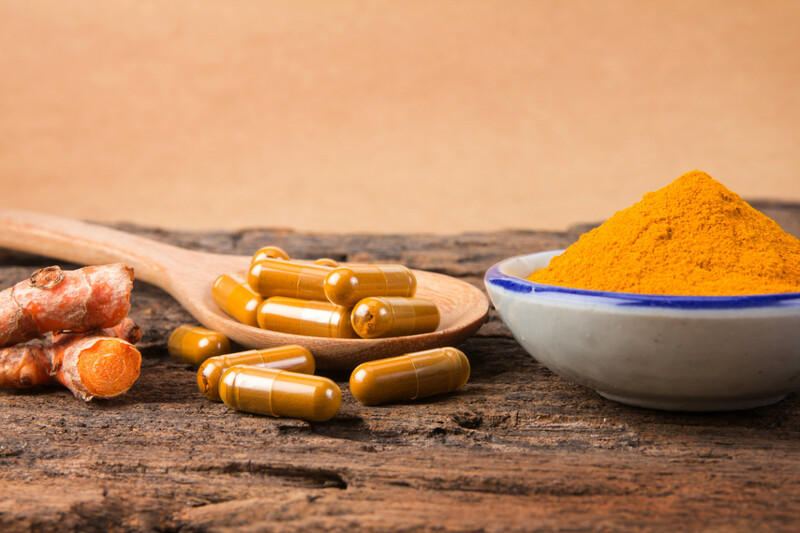 "Emerging research suggests that [curcumin] could affect the gut microbiota, which has been linked to several chronic diseases," the study authors write. 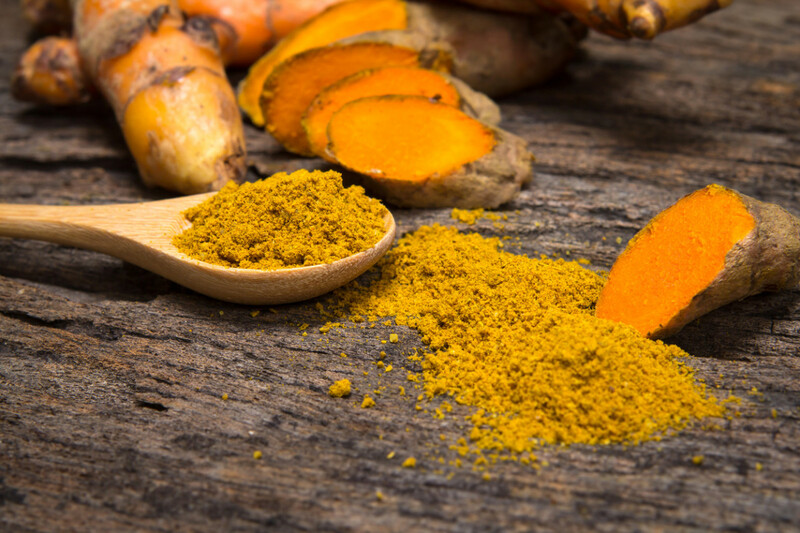 "A recent study using a mouse model of colitis-associated colorectal cancer suggests that [curcumin] may have a chemopreventive effect that is correlated to changes in the microbiota of these animals." A number of the major benefits associated with curcumin are cancer-related. In fact, the focus of a large part of the new research was on claims that turmeric helped with preventing pancreatic and colon cancer. The new research found that none of the existing research adequately proved turmeric&apos;s role in preventing cancer, with the sole exception of the colorectal cancer example, cited above. Several studies have shown that supplementing with curcumin can help manage irregular blood sugar levels, particularly with regard to diabetes; it has even been shown to reverse insulin resistance in certain cases. One 2014 study on rabbits showed the protective effects of curcumin before diabetes occurred and its ability to treat some symptoms of diabetes, specifically type-1 diabetes. Another 2014 study showed that curcumin could ward against the development of atherosclerosis in type-2 diabetes patients. The results of the new study were inconclusive on these possible benefits. Curcumin has been attributed with extraordinary benefits for heart health, including an ability to lower cholesterol levels and prevent the oxidation of cholesterol in the body, thus preventing cholesterol from damaging blood vessels. A 2010 study in Nutrition Research and Practice showed that curcumin could decrease LDL and total cholesterol when consuming a high-fat diet, thus reducing risk for heart disease. The new research did not offer a conclusive assessment of these findings. Additionally, turmeric is linked to the treatment of certain mental illnesses, particularly depression. 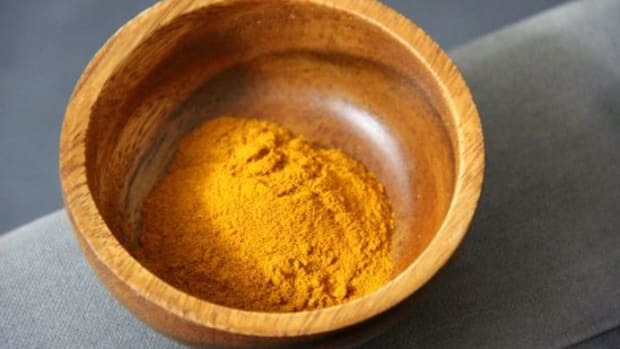 Several recent studies show the potential antidepressant properties of turmeric, according to Michelle Smekens, ND, FABO, naturopathic oncology provider at Cancer Treatment Centers of America at Midwestern Regional Medical Center, including one 2014 study published in Psychotherapy Research. "Taking 1000 mg of curcumin (...) had a similar efficacy to fluoxetine," says Smekens. Fluoxetine is the active ingredient in Prozac. Another 2005 study from Peking University showed turmeric expressed anti-depressive effects on mice. While the new research was unable to confirm or deny these claims, the long-time use of turmeric in traditional Chinese medicine as a major constituent of Xiaoyao-san, a treatment for depression, may be testament to its use in this capacity. In some studies, turmeric shows an ability to increase the natural antioxidant-producing capabilities of our bodies. The new research attributes at least some of these perceived superpowers to a spontaneous oxidative reaction that occurs in curcumin without photochemical initiation. What&apos;s more, at high doses, curcumin can actually have the opposite effect, according to a 2009 study called "The Dark Side of Curcumin," promoting the oxidation of cells. Should You Include Turmeric in Your Diet? As long as an herb or spice doesn&apos;t cause harm, there&apos;s no reason to remove it from your diet, especially when it&apos;s as tasty as turmeric. Unfortunately, the research showed that turmeric can in fact cause harm, at least when people are consuming it in the volumes that have become the norm amongst health seekers. The "Dark Side of Curcumin" study showed that turmeric is not, in fact, non-toxic, and that in large doses it can cause DNA damage. A safe and healthy dose of turmeric is about .15 grams per day, according to this study, or about a twentieth of a teaspoon. In other words, cook with it -- but no need to drink it. While the powder may be the easiest to use in a recipe, choose fresh if you can: many dried ground forms have been found to contain insect legs and larva, according to a recent report from Consumer Lab. “When you purchase the root you are getting all the constituents, versus the powder where some of its makeup may be lost in the process and it&apos;s not uncommon to have adulterated productions," says Goldstein. "In addition, you do not know how long it&apos;s been stored as a powder, whereas you can feel the integrity of the root." Should you opt for the powder, opt for organic. According to Smekens, this is the only way you can be sure that the spice that it has not been irradiated. Keep ground turmeric in a closed jar in a dark cupboard, and try to use it within six months for the very best results. As for supplemental turmeric, you&apos;ll want to be even more careful choosing your source. “The widespread popularity of turmeric has led to questionable cultivation and processing procedures, much of which is performed by unregulated companies outside of the United States,” says Smekens. In addition, the authors of the new research suggest that supplementing with pure curcumin isn&apos;t a great idea. You can easily take advantage of the health benefits of turmeric simply by cooking with it. Not only is it delicious, it’s also one of the safest ways to use the spice without overdoing it. As Farley explains, the strong taste of turmeric means that you will naturally consume a safe dose. if you are pregnant, as it can stimulate the uterus. if you are currently undergoing cancer treatments. if you are taking blood thinning drugs such as clopidogrel, warfarin, or aspirin, as turmeric supplements can increase bleeding. While cooking with turmeric may be the easiest (and tastiest) way to integrate the spice into your diet safely, absorbing all of the health benefits of turmeric isn&apos;t quite as simple. This is not quite as necessary when using turmeric in root form, as Goldstein explains. 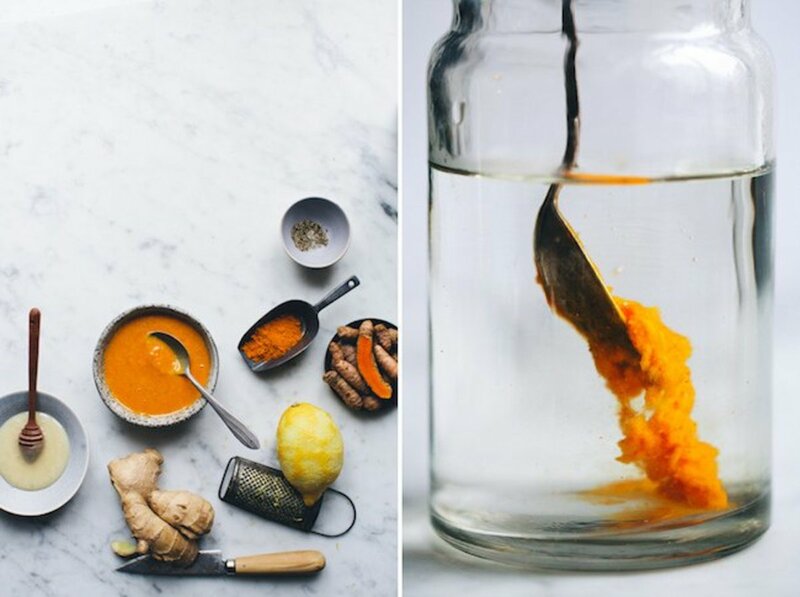 "If taken raw, turmeric has its own oil that makes it just as bioavailable," she says. Goldstein has a recipe for “vegetable spaghetti” that&apos;s as simple as it is delicious. 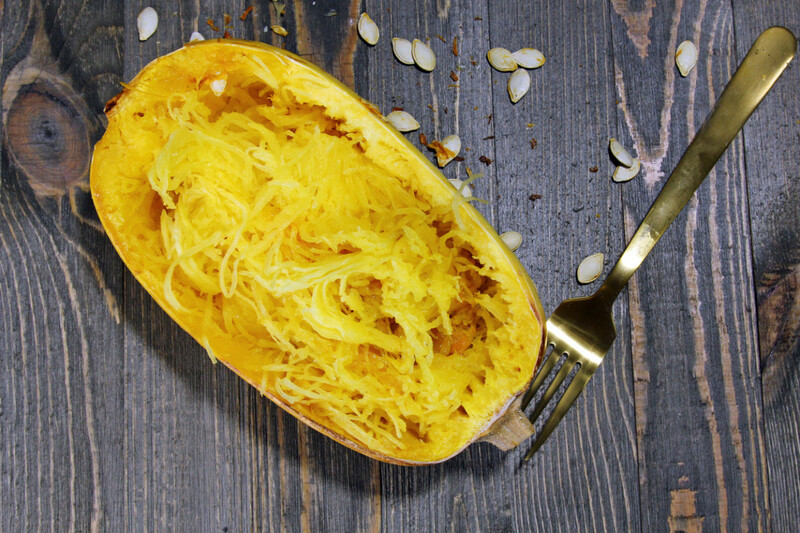 "Put spaghetti squash in the oven for about 20 minutes for it to soften, then cut it open, scoop out seeds, and coat with coconut oil, turmeric, and ginger, then bake for about another 20 minutes." 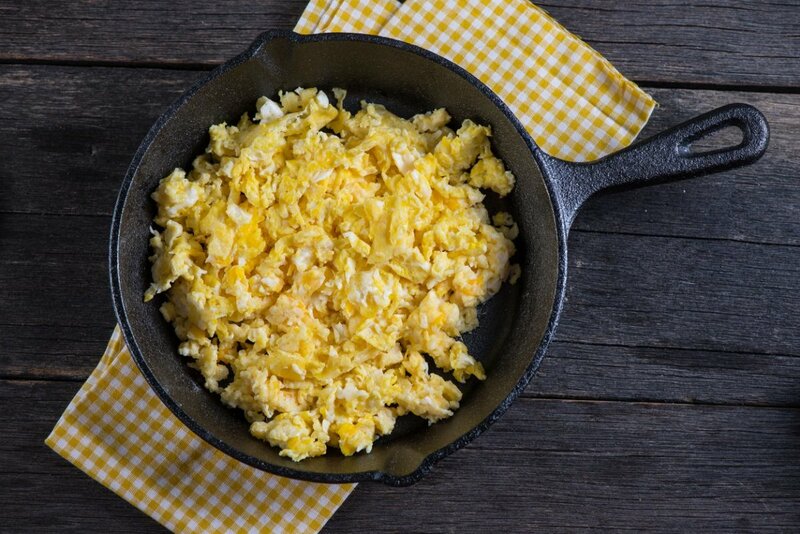 Eggs scrambled with turmeric take on an even stronger color than their original yellow hue. This scrambled egg recipe combines them with a bit of chile and some coconut, echoing the flavors of the coconut oil used to cook them. 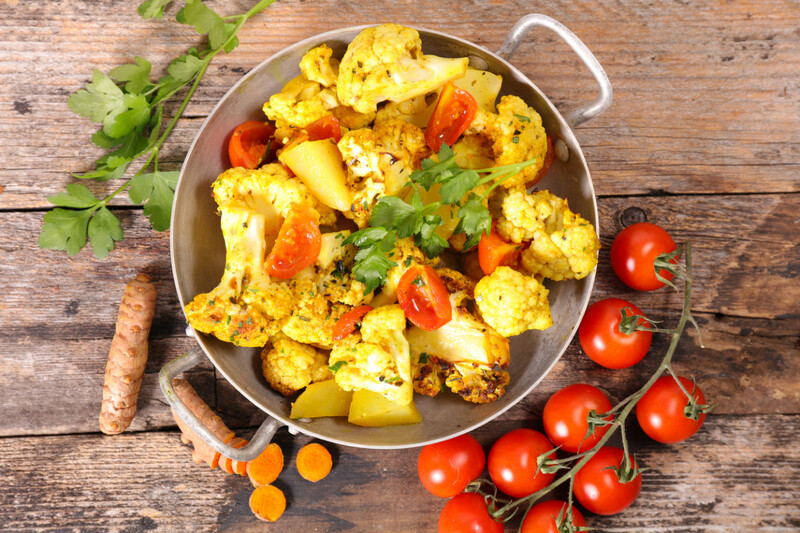 Turmeric-roasted cauliflower and tomatoes is a simple veggie side bursting with color. The cilantro adds a touch of freshness to the dish, which you can serve with other curries, like a dal, or with a side of steamed brown rice (with even more turmeric!). 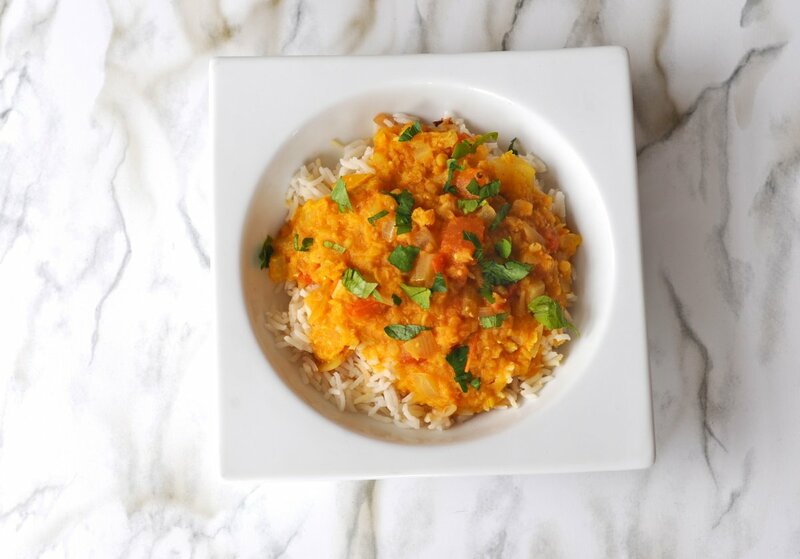 This Indian red lentil curry is a delicious dal that only gets better the next day. Turmeric is just one of several spices that give this dish flavor, along with cumin and chile. 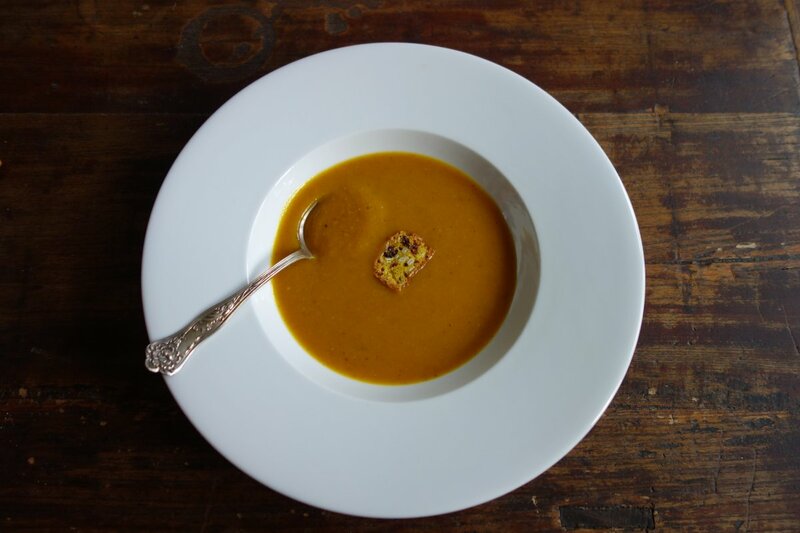 Turmeric brings out the flavors of pumpkin in this spicy roasted pumpkin soup. A touch of sweetness comes from the leeks that form the base. 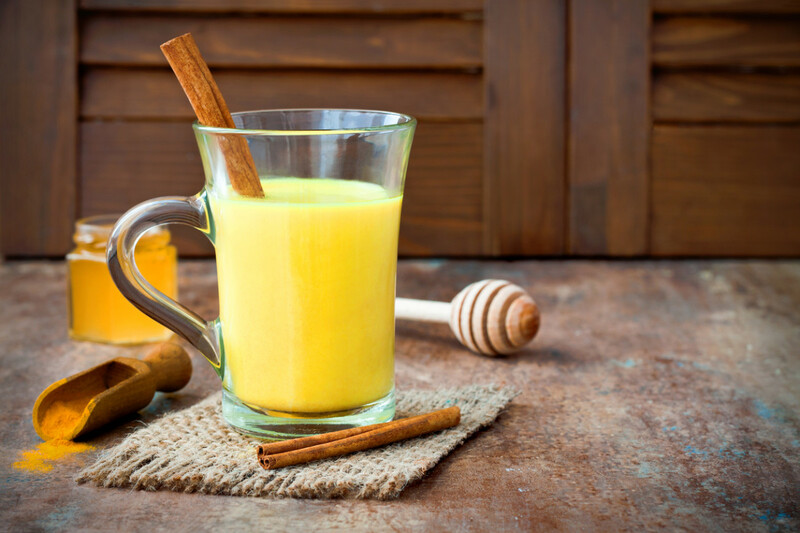 Sample a turmeric detox elixir first thing in the morning to get the full benefits of turmeric. We have four different recipes you can try. 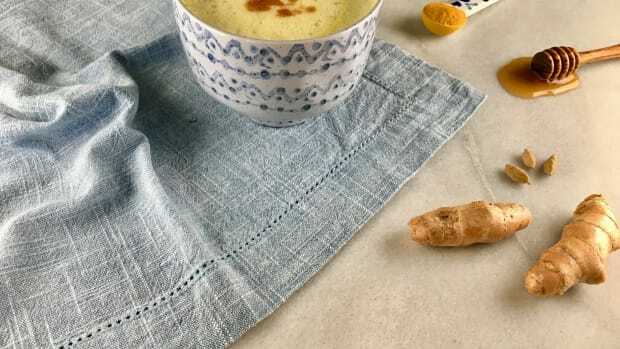 Turmeric golden milk is a unique combination of turmeric, nut milk, honey or maple syrup, cinnamon, coconut oil, and black pepper. 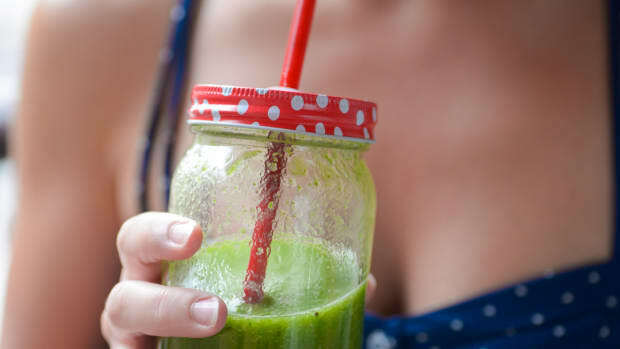 This drink is perfect first thing in the morning or as an afternoon pick-me-up. But the most important thing to remember is that turmeric is best used as part of a routine, not an occasional feel-good choice. How about you? Have you discovered any of the many health benefits of turmeric in your own life? Share your stories and recipes with us via Facebook or Twitter @organicauthorit.